Richmond Times-Dispatch: "He plays with an infectious passion that always serves the music and, even as he displayed his own fabulous technique, he was a true partner with the orchestra." Chicago Tribune: "Gade's Violin Concerto (1880) makes no secret of its musical debt to the composer's mentor and colleague, Felix Mendelssohn, although this melodic, well-made piece also breathes the robust romanticism of Max Bruch. The soloist plays virtually nonstop, and the gifted Danish violinist Christina Astrand addressed its lyrical bravura with full-blooded dedication and sensitivity." Chicago Classical Review: "Christina Åstrand has won plaudits for her recording of her countryman Gade’s concerto, yet the Danish violinist’s performance overall proved more competent than inspiring." Baltimore Sun: "The poker-faced Zukerman has a way of establishing musical authority right from the first notes. That he did here. He produced a big, even muscular tone that easily filled the space. There was occasional grittiness in that sound, but it never interfered with Zukerman’s communicative, seemingly spontaneous phrasing, his ability to bring out the concerto’s noble character." 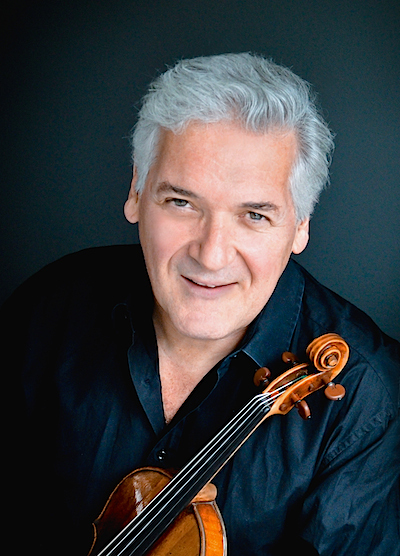 The Washington Post: "... rather than coasting on the hum-along melodies, Zukerman offered an introspective reading, allying a sense of rapt concentration with innately musical phrasing. At times, the violinist’s inward approach and exploration of subtle nuances came at the cost of rhythmic tension and continuity. The rewards, however, were considerable, particularly in the poignant contrast between the playful and elegiac strains of the score." The Charleston Gazette: "Barton Pine was excellent at balancing the romantic impulses of opulent melody with the modernist strokes that subvert them. She also had blazing technique in the fiery, yet opulently colored finale." Democrat & Chronicle: "...the celebrated violinist Midori gave a performance that was completely devoid of ego and self-promotion, instead tapping into the inherent genius of the composer's engaging themes and mining the virtuosity that is so prevalent in the music itself. It was as if Midori had found a safe haven of creative expression within the voice of her violin and was able to communicate most honestly and earnestly." Rochester City Newspaper: "Midori often seemed hardly like a star soloist at all, and in this work that's a compliment." The Journal: "The piece kicked off as it meant to go on, full of fizz and fire, and Margulis delivered a performance full of energy and confidence." Not every performance takes place in a concert hall. Augustin Hadelich performed "America the Beautiful" in Manhattan Federal Court last week, as he and 80 others were sworn in as U.S. citizens. Congratulations, Augustin! Classicalite: "'Augustin's rendition was so beautiful it brought tears to my eyes,' said Robert Katzmann, the U.S. Circuit Court judge who conducted the ceremony."